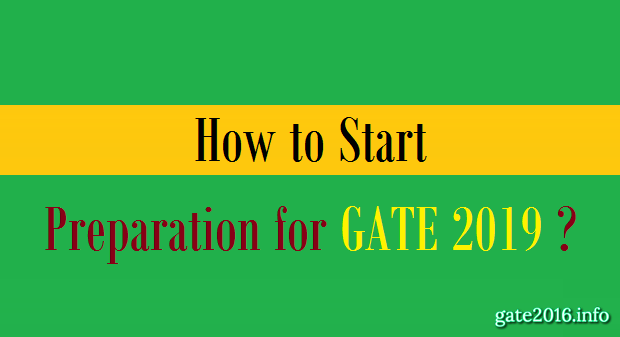 Olxam » GATE » How to Start Preparation for GATE 2020 ? “I want to prepare for gate 2019 without coaching. I am in 1st year / 2nd year / 3rd year / final year B.E. / B. Tech. mechanical / electrical / computer science / any engineering stream. How should I start prepare for gate 2019 exam ? How should I prepare to crack gate 2019 exam ? Which books should I refer for gate 2019 exam ? Graduate Aptitude Test in Engineering (GATE) is an exam for those who have completed bachelor of engineering (B. E.) / technology (B. Tech.) / Science (B.Sc. )/ Architecture (B.Arch.) / Pharmacy (B.Pharm.). Although candidates who are currently in final / 4th year may also apply for GATE exam. So when we go through the eligibility criteria for GATE exam either you must completed bachelor degree or you must be in the final / 4th year. Must read : How to prepare for gate 2019 in 6 months ? When I can/should start my preparation for GATE 2019 ? Eligibility criteria is completed bachelor degree or you must be in the final / 4th year but there is no criteria for starting preparation for GATE. You can start your GATE exam preparation from any year of engineering either it could be 1st year or 2nd year or 3rd year or final year. There is limit in eligibility criteria for attending GATE exam but there is no limit for starting preparation for GATE exam. How can/should I start my preparation for GATE 2019 ? 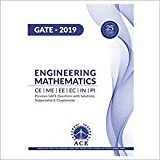 (1) How to prepare for Engineering Mathematics for GATE 2019 ? You can start preparation of engineering mathematics from your first / second year because engineering mathematics is a part of first and second year syllabus of B.E. / B. Tech course. If you start preparation for engineering mathemetics as early as possible it would be good for you because candidates either get admission in B.E. / B. Tech. course after clearing 12th examination or after completing Diploma in engineering. In both the levels you must have read mathematics which is not more different than engineering mathematics of B.E. / B. Tech. level. Just after completing 12th or after completing Diploma in engineering with mathematics as one of your main subject you get admission in engineering, You study engineering mathematics in first and second year syllabus of B.E. / B. Tech. So you would be in a flow. I mean to say if you any how would be able to continue this flow from 12th / Diploma in engineering to engineering from first year to final year you would be master of engineering mathematics finally. Many candidates who were good at their mathematics at 12th / Diploma in engineering level as well as engineering degree level but start their preparation at the last months of preparation of engineering mathemetics for GATE and get less marks in engineering mathematics section of GATE paper. So if you take little bit awareness about this you could be able to get advantage of this 15% marks of total marks. As per GATE exam pattern engineering mathematics cover 15% marks of total marks. So it would play a major role in your final selection. 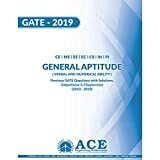 (2) How to prepare for General Aptitude for GATE 2019 ? Similarly as engineering mathemetics general aptitude also cover 15% marks of total marks and this section can also be prepared at any level of engineering. This section is common for all branches of engineering and science except any paper code. This section is comprises of Verbal ability & Numerical ability. General aptitude are not studied by engineering students at their graduate level so that these subjects have no relation with neither engineering nor any year of engineering. Any one can start General aptitude preparation at any time and in any year of engineering either you are in first year or final year. (3) How to prepare for Subject Questions for GATE 2019 ? This section contain 70% weightage of total marks for paper codes – AE, AG, BT, CE, CH, CS, EC, EE, IN, ME, MN, MT, PI, TF and XE in GATE exam and 85% weightage of total marks for paper codes – AR, CY, EY, GG, MA, PH and XL. This section contains nearly 8 to 10 subjects of what you have studied at your engineering degree level. Mainly these subjects are from your second and third year engineering degree syllabus. Nearly 80-90% of GATE subject section syllabus is covered in these 2 years of engineering. So, candidates those who are in First year just start preparing their subjects of semester as per GATE syllabus and paper pattern. Subject section of GATE paper contain nearly 8-10 major subjects of engineering so if you study 2-3 subjects right from first year of engineering you would not be pressurized in your final year and you may also save your money by not getting admission in any coaching with or after final year under pressure of preparation of GATE. Which books should I refer ? You study English grammar in your first year of engineering, engineering mathematics in your first and second year of engineering and Engineering subjects from first year to final year. While you don’t study Verbal and Numerical reasoning at any level of engineering. There are three section in GATE paper for paper codes – AE, AG, BT, CE, CH, CS, EC, EE, IN, ME, MN, MT, PI, TF and XE and two sections in GATE paper for paper codes – AR, CY, EY, GG, MA, PH and XL. You can start preparation for engineering mathematics from your first year of engineering. Here I am providing a list of books for almost all engineering and technology streams. You can refer Gate 2019 books section for getting complete list of books for GATE 2019 preparation of particular subject. Here we have provided the best strategy and ideas to start your GATE 2019 exam preparation. Here on this blog we will update more useful information time to time. GATE 2019 aspirants are advised to visit this blog regularly so that they can get all GATE 2019 related information & update time to time. I am first year student cs branch..can I try preparation of gate exam.can I successfully qulify gate exam. Yes you can clear GATE exam with very good rank if you just study 1-2 hours daily targeting GATE exam. I would like to appreciate your passion towards GATE exam and your eagerness for clearing this exam. Thanku sir… d info is very helpfull… i am in 3rd yr B.Arch.. can u plz guide me?? how should i study?? I am average student & I am in third year I can crack gate 2018. If yes then when I should start preparation for gate 2018. I am third year civil engineering student ,which books shall I reffered for gate 2018 & their is chance to get job in psu. 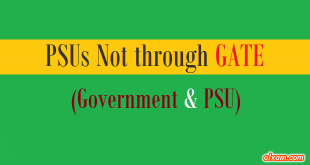 Hi Admin, can you share me the PSU for they recruit CS students through Gate 2017. Really its a nice blog for GATE Aspirants, Thank you for sharing . I am a studrnt of btech third year mechanical engineering .I want to prepare for the gate examination without coaching . Is it necessary for the coaching for gate exam or not? How should I commence the gate preparation? World class learning platform. Thanks. I am a final year student of Mechanical engg. Can you suggest me any books for Gate. Start preparation for the GATE Exam 2018 with this website. It is a good website. this is Aditya here i am pursuing my electrical and electronics engineering, and i want to prepare for the gate but i am confused with the time.I don’t have enough time to preparation so will you please help me. as i am in final year so, I have classes too. It is really hard to manage time along with final year study & project and seminar work. You need to count your hours in a day which you can effectively use for your GATE exam preparation. Remember first you need to prefer your final year study then GATE. Because if you lose your concentration from your final year study and gain more concentration on GATE, It would also not good for you. SO your first preference should be final year study then GATE. You can easily manage 2-3 hours in a day for GATE if you make your whole day plan targeted only for study & GATE exam preparation. Now in these 2-3 hours pick any one subject of GATE and start preparing it and do not change to another subject until you finish it. Make a proper time table for remaining months/days for GATE and define a limited days for each subject mentioned in GATE syllabus. May be you prepared some subjects good some average and some bad. You can define more days for hard subject preparation and less days for easy subject preparation. In this way you would be able to cover the whole GATE syllabus with a time limit. keep last 15-20 days for revision and attending GATE like test series. We haven’t prepared yet reference books for XE. We will prepare soon. Admin my name is ganesh, working in indian railways as loco pilot, I completed my b.tech in mechanical in 2009, is it possible to write GATE EXAM NOW, if yes kindly help me out for preparation, kindly refer books and pattern of exam. My goal to study my PG in NIT or IIT. It is really great to know that you want to prepare for GATE exam. While preparing any exam a dedicating towards that exam decides your selection in that exam and I think you really really want to prepare for GATE. You will surely get great success in GATE exam. How much marks I need to get an IIT ? can u help me to know whats best for me ? what stratigies I need to made from d beginning ? on which things I need to focus frm d first day ? n I m a general … How much marks I need to get an IIT ? I compeleted my BE from this month. My cgpa is 6.47 , i am eligible to get admission in IIT? When should i start practice for gate’17? Six month is enough to get top rank below 50? You are eligible to get admission in most of the IITs. Start your GATE 2017 preparation as soon as possible. Six months would be enough if you can cover whole GATE syllabus properly in that six months. This article is quite informative.Even I have written an article on preparation tips. Also can you suggest books for the same. I am a dedicated GATE EC 2017 aspirant. I am currently in my 6th semester of my engg. I started my preparation through self-study from the summer break after the 4th semester. I am practicing the R K Kanodia books and going to start practicing the previous years papers. I want to know if these practice materials will suffice to get a top 50 rank or would you suggest something more to add to my practice . It’s good to know that you want to prepare for GATE exam along with your graduation. Guides play an important role when you have studied everything. If one can secure rank in top 50 or 100 just by reading guides then everyone will read guides only. I hope you understand better now. GATE exam is just a test. So make a proper plan to clear this test and you will clear GATE exam with good rank. If you have percentage greater than 60% in your graduation you are eligible for most of the IITs & all other top college for M Tech. I am BE student from Mechanical branch. Currently in 3 year (6 sem). I am sure i have not achievd anything great. I am just an average student. So gate is my only Chance to achieve greatness. I know that I don’t have my concepts clear too well. Please suggest me the preperation tips and how to prepare to score good in order to enter a PSU. Even I have joined the coaching Institute still it’s not that productive now only self study can help me reach my goal. Please tell me which subject to prepare first, I have actually started my preparations from SOM. Still let me know soon. Its good to hear that you want to prepare for GATE wholeheartedly. It is the best time to start GATE preparation. It will not only give you a good result in your GATE exam but also improve your performance in your semester examinations. Start your preparation with easy subject or the subject you like the most. You have enough time for GATE exam preparation. Just prepare step by step make some plan for your GATE exam preparation & a proper time table which you have to follow till clearing GATE. Consider there are 10 subject which you have to prepare for GATE exam. If you find out of these 10 you can easily cover 5 then you must prepare those 5 subjects first. It will not only build confidence in you for these subjects but also build a positive thinking in you that you can clear GATE with good rank if you prepare like this continuesly. i am from ME 3rd year ..for GATE ,what books should i refer to? I am vibi, 3rd year B.tech(IT) student. I have to appear exam on 2017. I have bought gate exam book with all the topics covered in gate syllabus. Is studying with that book is good? And i dont know from where to start the book!It is so vast. Please do help me. How to get prepared for the exam. My dream is to study in IIT. Please help me sir..
Its good to hear that you want to prepare for GATE from 3rd year of graduation. So make a plan for your GATE exam preparation as per your suitability but remember you have to complete the whole syllabus properly. I m a second year btech student (computer science).How could i start preparing for gate 2018.Should i refer to some coaching institute”s study material or some books specifically,and what basic guidlines should i follow so as to crack gate with a good rank. Its good to hear that you want to prepare for GATE from 2nd year. Sir if my college is not aicte approved than what sort of problem it create for gate exam. It will not create any problem in getting admission into any college for M Tech through GATE score but it will create problem when you are going to use this GATE score to get selection in any PSU. i am now in 3rd year having hand written notes and enggineering books both. You are in 3rd year, So you have enough time for GATE exam preparation. You have hand written notes and engineering books, So now you need not to worry about study material. You must prepare notes as per your requirement. Some just buy some coaching institute’s notes and follow them and practice as much as possible. Some don’t prepare notes for theory they just buy a formula book of top institutes. Because in GATE most of the question are numerical type. So Notes must be as per candidates suitability. Neither invest much time in preparing notes nor ignore because it will save your time in your last time preparation/revision. Notes must short but must included all the things required to recall complete syllabus of GATE. Best trick is start your GATE exam preparation from your favorite subject. prepare a time table for each day, each month. You will not find any out of the syllabus question in GATE paper if you prepare GATE syllabus completely. It took me 6 years to complete B.TECH in Aerospace Engg (76% aggregate). I am aged 24 now. Will it be a drawback for admission to IIT/ job offers associated with GATE even if I have a good GATE score? It will only affect your selection in IIT/PSU/any organization, If your performance at any stage affected by your previous performance. So always perform better to prove yourself suitable for that particular seat/post. I am studying MANUFACTURING PROCESSES AND AUTOMATION ENGINEERING course in BE and I intend to give GATE in MECHANICAL ENGINEERING.. So my question is that, if I manage to get a good rank in GATE mechanical then will PSU”s allow me to sit for interviews and stuff ?? I mean that once I get a rank that the PSUs want, will my BE degree in MANUFACTURING cause hinderence in my selection ?? We have written a post related to this issue. i want to start my gate preparation now. i am studying civil engineering 2nd year.. can you tell me how to prepare for gate and how many hours can i read for a day? help me sir. because its my goal.. Thank u for above information sir..
(2) Prepare for GATE as hard as you can. Do not waste a single minute, prepare a single formula from your GATE syllabus in this short time. If you will start using this much time you will surely get your goal achieved. I am not saying do not watch TV, do not enjoy life but remember for what you are preparing, for what you have invested your 20-21 years of education. That’s it. Do not count hours of study but count your achievements. Should i start to go coaching class for preparation start self study? Yes sir you can make into top 100 list. But you have to work hard and don’t repeat mistakes so far you have done. I m third year Mechanical engineering student. can you suggest best books names for GATE 2017 for self study. Is it sufficient to read for 4-5 hours a day regularly for gate 2016? Still 3(1/2) months to go. It’s depends upon what you have prepared so far and how much you can cover in a certain period of time. We will suggest you study as much as possible but do not overdrive your mind. A big congratulations for doing a great job u are really helping students alot thanks for your support for preparing for gate exam. i am a first year mech student and want to prepare for gate to get admission in iit aerospace dept . Suggest me right time table to follow from this year and from which subject should i start. I have to appear for mech gate or aerospace gate examination. For time table preparation guidance please follow below link. You have enough time to prepare GATE exam. Start your preparation with Maths & General Aptitude in first year. From second year of engineering start preparation of your core engineering subjects. You can strong your basics of engineering in first year of engineering. You are from Mechanical engineering and want to prepare for gate to get admission in iit aerospace department then you must read below post first. I am doing third year civil engg. meanwhile I am planning to start preparing for gate 2017.
my aggregate are 60%.I am confused about from where to start..I have plenty of time..I am also looking forward to join the coaching classes. apart from this, how long should I have to study. my basic is not that much good..so I want to start from the beginning. .do the coaching creates any difference in preparation rather than self study??? Yes you have plenty of time. If you will utilize this whole time period effectively then you will surely get good rank in GATE. Yes you are right if your basics are not good then start your preparation from basics of each subject. If you are confused about joining coaching or not then prepare one subject of your interest by yourself for GATE in limit time period. Use standard books for study, you can refer a good coaching institute study material / class notes and GATE previous years papers. Prepare that well and arrange some previous mock tests of any good institute(s) try to solve them without any/anyone’s help. If you are able to solve questions of that particular subject in that test then no need to join any coaching if you still find difficulty to achieve required level for GATE exam in that test then you should join coaching because at that point you need some strong guidance. sir i am in 3rd year can i give get exam? just for the practice . I am second year student studying BE Material Science. I like to know whether I am eligible for this gate exam. If yes what syllabus I have pursue. Currently, You are not eligible for GATE 2016 But you would be eligible for GATE 2018.
i am student of Computer Science Engineering . can you suggest me best books for GATE Test. computer Languages such as java,php,.net etc are required for Gate test or not. I planned to join gate coaching for next sem and I want to prepare for gate exam now itself. Will you please tell me a good book to refer with solved question papers.I am studying 5th sem Mechanical engineering. First of all, a big congratulation for doing a great job by helping the gate aspirants. I have done b.tech(CSE) and currently doing M.tech 1st year. Either i want to receive my Ph.d from abroad or wanna join reputed govt. firm or any research fellowship here in the nation. Will GATE be helpful for me in any way? if yes, I haven’t done engineering mathematics at any level in a good way. Is it Possible to have a good rank in Gate without considering mathematics portion? Thanks JIntu for appreciating our work. Mathematics contain 15 marks out of total 100 marks in gate exam. You can prepare 6-7 marks math with little preparation so try to score those 6-7 marks. As we can see you are not strong in mathematics so you need to be strong in rest section(s) of GATE paper i.e., GA & Subject. Rest depends upon your approach towards GATE preparation, strategy, plan and hard work. Once again taking coaching,can I retain my old gate rank…? If k what’s its validity? Could you please explain more about your query. So that we can help you better. Thank you admin for your quick response. I will get 3 hours per day so i should plan accordingly. Help me for which books i shld refer for each subject from Electronics & Telecommunication engineering. Yes 3 hours would be fine for GATE preparation on regular basis. Do 10 volumes of r k nodia sufficent for cracking gate? Are all of basics and formulas covered in it? I want to prepare for gate by self study as i cannot attend classes bcz i am professional. Those books are good for self preparation for GATE. If you can maintain your study in right direction then those book can help you alot in your GATE preparation. Rest depends upon your preparation strategy, plan, approach etc. I m in 4rth year of my engineering from ece having 59% aggregate.I want to score good marks in gate as well as want to increase my aggregate.1 thing I m sure that I will study for gate but don’t know how to manage my 7 -8 samester subjects along with my gate prpn so kindly provide me suggestions. You must first concentrate on your aggregate. If your are from UR category then this percentage is not good for your career. A candidate must have atleast 60% aggregate in order to get admission in most of the colleges for M Tech/ P HD and for interview call from PSUs through GATE. If you still have spare time then study 1-2 hours daily for GATE along with your final year study. first of all,thank you for your support for GATE aspirants..
I’m 2015 passed out batch student(B.Tech IT Branch). I’m working as software engineer, I want to get good rank(below 100) in GATE 2017. Even though I’ve plenty of time(2 years), I am not able to put more than 2 hours of preparation per day.Sometimes I have to work on weekends also. I think it is difficult to read all standard textbooks and then solving all the previous papers& mock tests. Could you please suggest me how to prepare for GATE in these 2 years i.e, where to start and how to practice, books to study etc. Thanks Chandra for appreciating our work. If you don’t wanna join any coaching and have less time for preparation then only previous papers can help you more than anything. First you have to have a book of previous GATE 15-20 years papers with solution so that you can get a good idea about GATE questions. Then atleast one standard book of each subject. All books required for GATE exam preparation in Engineering are mentioned in below link. Make a time table for day, week, month and for whole year. Try to complete syllabus as soon as possible os that you can practice more problems later. About test series if you can not attend them then buy them and solve at your home while your preparation have finisher. After all GATE is a test, So you need to test yourself before taking GATE test. I have few more doubts..
NPTEL videos or Standard text books,which one is better? process of preparation i.e, subjects we have to start with, for doubts clarification which e-learning website is useful? how it is beneficial to start preparation with previous papers with out learning the subject? NPTEL videos & Standard text books both are good. Use mix of them. Doubts can be clear through internet and social educational groups but you have to stick with your pen and paper. Start with any subject of your interest but keep in mind you have to complete complete syllabus as mentioned in the GATE syllabus. we have explained in the post this issue our level best. hello sir, i study in 4th year of electrical engineerin and my all over cpi is 6.6 i Qualify for gate 2016…????? There is no certain percentage criteria defined by GATE office for attending GATE exam but you have to have 60% atleast in order to get admission in good engineering college. So try to maintain this % atleast. ONGC generally recruit every year may be they recruit this year too. i am a chemical engg. and i am preparing for gate2016. so can u help me that how its possible to crack gate in 5 months with a decent score and also please suggest me the topics on which i need to focus more for subject section so that i can get admission in ICT . also whats the cut off for ICT &IIT for chemicals . (1) No there is only one paper for all branch of engineering & Technology of total 100 marks and 65 questions. (2) Why there is 4 papers in 2014 ? It is because nowadays GATE exam in an online computer test. Number of candidates which filled GATE forms in some branches of engineering are large so GATE office take these branches exam in more than one slot which may be on the same day or different depends upon the number of candidates. Like in 2015 for mechanical branch GATE exam was in 3 slots in 2 days. First of all don’t worry about your college either it is private or government but you must first check that your college is AICTE is approved or not. If yes then there would be no problem in future. First year of college is for understanding basics of engineering so try to understand the basics. If you strong your basics then you would get benefited in future bcz of this. (2) prepare general ability and engineering mathematics in this period bcz it the part of GATE exam and contain 30% weightage out of 100 % marks of gate exam. In 2014 mechanical engineering has 4 question paper we should write 4 exam ?